OK, I know the title sounds all doom and gloom, but really I'm OK with it. The more I think about it and the more I finish things up at work here, the more I realize that I have been burning myself out in this line of work and a break is what I need. I did get a job prospect yesterday from Sexual Assault Crisis Center as an educator position going into the schools and local collages and doing presentations and talking about sexual assault. SOmething that I would love to do. I love doing presentations and talking to people. SO I need to get on the ball with that this week because they are scheduling interviews for next week. I did not ride last night as I posted yesterday. I went to the little jewelry party and it was short and fun, just the way I like it. I went home after and played with the dogs and let them all out and then "G" came and we went out locally for a quick dinner. I just had a greek salad since I felt like I had been grazing on snacks all day. We went back home and loved on the dogs. I went and got my cat inside for his nightly curfew and we all curled up together (literally) and went to sleep. HAving three dogs, one cat and one man in the bed with me is quite a squeeze, but we all love it. Hated getting up this morning. The dogs helped me to get out of bed, take a quick shower and let them outside to do their thing. Tonight I am riding. I must get a good ride in. I just heard the weather it we're supposed to have torrential downpours all day tomorrow and Saturday with some clearning Sunday. It's gonna be a wet and soggy show Sunday and getting ready Saturday is going to be a pain. I think I might douse Possum with shampoo and then just let him loose to hang out in the rain, like a shower to wash the shampoo off, yea right! Somehow he would get dirty and my plan would backfire. Update on Jetta. She is doing wonderful. No accidents in the house, she does not need to be crated or confined, she has free roam of the house as do my other dogs. She is a bit snappy when it comes to eating. She is definately a big dog trapped in a little dogs body, but she loves "G" and I. I can see she is going to be a daddy's girl for sure. My life right now is just consumed with finishing up this job and looking for another. I am so tired all the time. I'll be glad when this show is over on Sunday because that marks the end of your show season until January. So I went to Walmart last night to buy dog food. I have alwaya fed my dogs Iams and had really good luck with it. 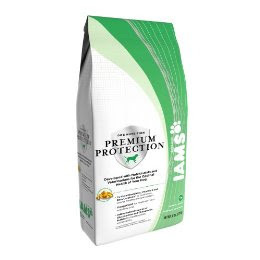 A trainer once told me that Iams has gone downhill a little, especially when they struck a deal with Walmart. I just bought the new food they have out and it is more expensive than normal and I look at the ingredients and still the first things is chicken meal. Not chicken or any other real thing, but meal. I have looked into the past of making my own dog food from meat and chicken and pasta and veggies, but just didn't have the time to do that. What does everyone else feed for dog food. As a treat I will buy the Beneful bowls and let the m have some wet food which they devour. We feed a brand of food from our local feed store that is made here locally in Eastern Washington... can't remember the name. But its an Iams copy cat line. It's in a red sack (I know that doesn't help). Never looked at the ingredients, so I don't know if they are using meal or real meat. My dogs are healthy and happy with normal digestive systems, shinny coats, good teeth, and perfectly normal doggy breath so I guess I have never second guessed the quality of the food. I wish they wouldn't eat the mice and ground squirrels they catch, if anything I would suspect that part of their diet over the food. My dogs are both healthy, shiny, happy and active. Funny you should mention Iams going downhill. My vet said the same thing. He said its still very good just not as great as when it first came out. He said that Pedigree is the same quality now as Iams, so its a pretty good food. As for your job, doing the public education part would be awesome. I think you'd find it very fulfilling. That type of job is very important. forgot my one of my fav's! Dehydrated Raw, Grain-Free Dog Food. I usually top off there kibble with this. They go CRAZY for it! I feed Nutro Lite, and Authority Large Breed to my two dogs. Cats have Authority-indoor. YAH! That's what my guys get as treats too - Raw Beef Marrow Bones - I get them from a local butcher, he deals with only small local beef, nothing from Canada (no offense intended there) nothing mass produced. My vet actually said that they are the best thing you can give them for a treat and for their teeth. So cheap too I get them at .56 a pound. As long as they are too big for them to break and eat they are fine - mine will spend days chewing on them and then they will pack the old bones around for a month like toys or longer before I replace them with new ones. When I stick Roper in the back of the trailer in the morning when I go to the barn to get ready to show, I always give him a new beef bone. That way he can chew on it instead of sit there and cry and feel sorry for himself. Also if you are feeling adventurous you can stuff the old cleaned out marrow bones with cheese or peanut butter and they are like new toys again! I feed my dogs Lamb and Rice California Natural. I used to feed Science Diet, but read the ingredients. What a bunch of crap! There is now a lot less to clean up in my yard. I suspect Iams is quite similar... a lot of filler. I have actually been doing a lot of research on switching my dogs to a natural diet. My dog trainer inspired me by her success with it. You must be tired - trying to finish up that job, worrying a bit and getting ready for a big show. I hope things ease up a bit for you soon. We feed Fromm's - apparently they don't source ingredients from Asia - which is the big problem in alot of food products - both human and animal. I'm not sure which brands are good and which aren't - it's tough to find good info on that stuff, I find. I found that my local pet store (not a chain like PetSmart or something) knew more than my vet seemed too. My friemd Linda cooks up her dog food for a few days at time in a giant crock pot..she just throws all the stuff in and wa laa 8 hourse later...dog food. She has about 10 so I am sure a crock pot full would last you much longer. But she adds all the vegt, ground meats, barley whatever and her show dogs look great and they never have gas she tells me!! Our get Iams Adult Weight Control and have been doing well on it for several years. Have fun slogging around in the rain! i feed california natural also. it is very pure and very good. i had a JR terrier who had skin issues with fillers (wheat, corn) i swear this food totally stopped that. i have been feeding calif. natural for over 10 years. it is always recommended by holistic type vets. dogs (and all pets) are being poisoned by corn in everything. it is terrible for them. i now look at all treats etc to see if they contain corn and almost all do. watch out for that. We get Nutra-nuggets from Costco because it does not have any yellow corn meal in it. It comes in chicken and rice or lamb and rice. It is comparable to an expensive brand sold by PetCo. It helps keep a shiny coat, hair that doesnt mat and the little ones poop less frequently because they dont have to eat as much of it. I'm a 28yo college grad who has been in love with horses forever. 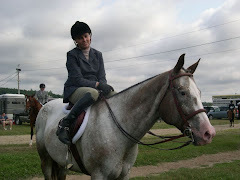 This blog is to rearrange my thoughts with horses and guys and to illustrate my struggles with both. I mainly ride hunters and equitation but am always up for an adventure. 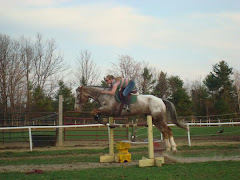 I own a 14yo rescue Appy Gelding named Possum that I got when he was 8. I also have three dogs, Phin, Abby and Jetta and a black cat named Shadow . All of my animals have been rescues either off the street, the meat truck or the shelter. What can I say I'm a sucker for a sob story. Feel free to comment and read at your leisure cause this is just my life.